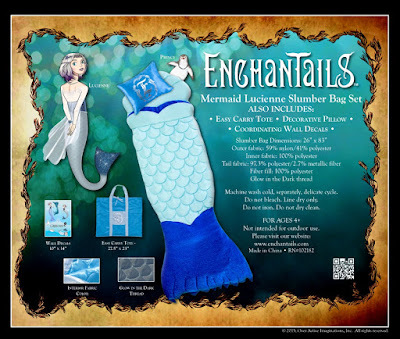 2 - Winners Holiday Contest and Sweeps along with a great group of fellow blogs gladly present a terrific giveaway, the "Enchantails Spring Deluxe Mermaid Sleeping Bag Set & Book Set Giveaway". Enchantails quality and craftsmanship on each of their products is second to none. 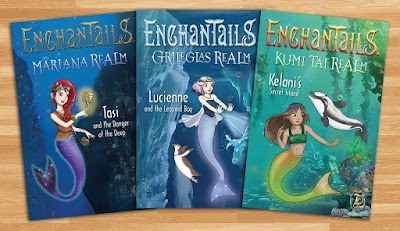 There will be one Grand Prize winner who will win the Deluxe Mermaid Sleeping Bag Set and the Second Place winner will win the Enchantails Book Set. Winners must reside in the Continental United States and be 18+ years of age. 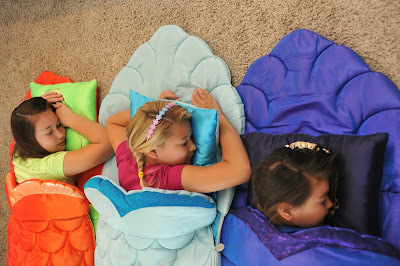 With Spring almost here, every little girl will want their very own Mermaid Sleeping Bag to take with them on sleepovers, overnight camping fun in their backyards with friends or on a camping trip with their family. First Place Winner: "5 Piece Deluxe Slumber Bag Set" Second Place Winner: Set of Enchantails Books Enchantails was founded by Southern California entrepreneurs Tristy and Mark Viniello, who are parents to four girls. Their new mermaid slumber bag sets each come with a themed storybook that blends real-life places in the ocean with longstanding mythologies about mermaids from around the globe.